made her debut in the spotlight at the age of seven and has continued with her fascination for dance through her training here at the Marcia Hyland Dance Center with Gerry Barney, Nicole Angelastro and Linda Polvere. She also holds numerous titles as a pageant winner since she was four years old. She loves to perform, and while at Moorestown High School, made time for cheerleading, the dance team and softball. 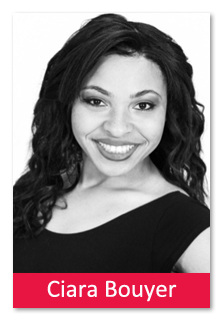 She is a member of the Marcia Hyland Dance Company, and with her vivacious, welcoming personality, is the ideal instructor for our youngest dancers. Ciara encourages her first-time students to develop the poise and confidence all parents want for their children. She strives to build technique, and a graceful performing personality. She and her students know it will all come together for opening night!